Worked for Collective Technologies who partnered with Dell to deliver Infrastructure Consolidation Readiness Assessments – the goal was to help customers consolidate old hardware onto new Dell servers running VMware Virtual Infrastructure 3. When someone tells me that they are going to pursue the VCDX accreditation my immediate response is, Go for it! You can do it! Today is a great time to defend, there is a lot of support for VCDX candidates. This is not a task I would advise you to go at alone however. I secured a mentor from VMware, immediately established a VCDX Success Study Group, participated in several VCDX Mock Study sessions, and had 11 colleagues peer review my work. Nothing. Honestly. After being a consultant for 15-years and working with VMware products for the last 8-years (including attending 686.75 hours of VMware training) I was well prepared. First thing you do after you become a VCDX is sleep 🙂 .I pulled far too many all-nighters preparing for the VCDX. I guess I could tell you that my company was incredibly excited about my achievement, but since I was self-employed, the reality is I gave myself a pat on the back. Was it worth it? Absolutely! I met a lot of great people during the journey that I probably wouldn’t have met otherwise. Categories: Certifications, VCDX, Virtualisation, VMware | Tags: VCDX, VCDX Spotlight, Virtual, Virtualisation, virtualization, VMware | Permalink. VMworld EMEA day 2 kicked off with the keynote from Carl Echenbach, Ben Fathi and Raghu Raghuram. Unfortunately the keynote was again largely a repeat of the VMworld US day 2 one with all of the same jokes and mock up pictures also. Due to this I’m not going to break down the keynote but rather recommend you watch the keynote recording here. After watching the keynote and writing up my VMworld Day 1 blog posting I helped the vBrownbag crew with preparations for the TechTalks for which the recordings are now available on the vBrownbag YouTube channel. I would highly recommend watching these as there were some really great presentations from some very big vendors and names within the industry. I then went to the hands on labs and did HOL-SDC-1420 – OpenStack with VMware vSphere and NSX. The lab was really good and I plan to do the second part of it today. VMware find that for most of these micro-benchmarks and Redis tests, vSphere delivered near-native performance with generally less than 5% overhead. After the HOL I attended the Solutions exchange and spoke to some of the vendors whose solutions interest me such as Nutanix, Hitachi Data Systems, PernixData, Simplivity , SolidFire and Colt stalls. Some amazing solution from these guys as well as many others, it’s scary how much the virtualisation ecosystem is changing. From the solutions exchange I attended session STO2997-SPO The vExpert Storage Game Show EMEA which was really good fun and filled by really smart guys on the stage. I watched the recording of the one from the US a few weeks ago and it too was very informative and is a session I would recommend watching from both VMworld’s. 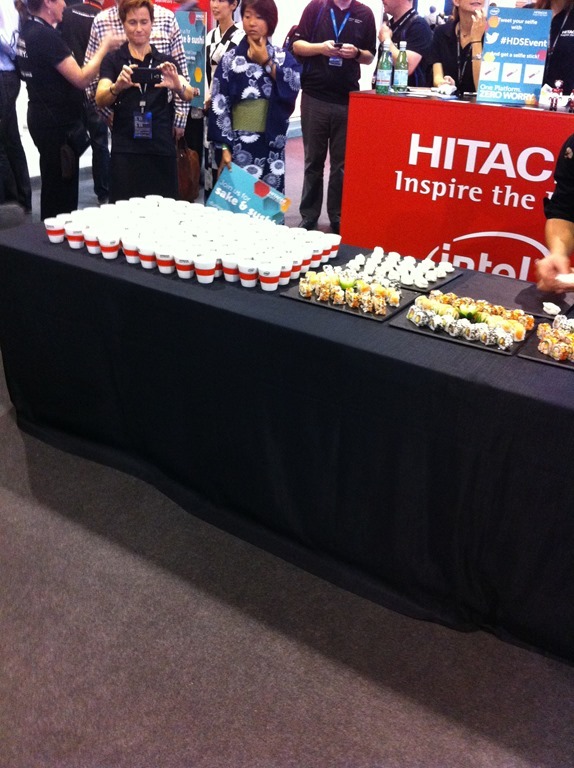 I then made my way back to the solutions exchange for the hall crawl where Hitachi were serving up sake and sushi at their stand which is two of my favourite things so I had to make sure I got myself some and they even gave us nice sake cups which I will personally use for a double espresso cup. A big thanks to Paul Meehan too for chatting us through their solution. I stuck around in the solutions exchange until the VMworld party as the party is in the convention centre. The party seemed smaller this year although there was a big roller rink in the middle last year so possibly this was the reason. It was good to chat to very vNerds and even some ex-colleagues whilst waiting for Simple Minds to come on. I’m only 31 so I only knew two or three of their songs but they were hands down better than Taio Cruz last year and most of the crowd seemed to really enjoy it and they even did an encore. From the party I met up with some of my Xtravirt colleagues for a night cap. Categories: Automation, Social, vBrownbag, Virtualisation, VMware | Tags: HDS, NSX, vExpert, Virtual, Virtualisation, virtualization, VMware, VMworld, Xtravirt | Permalink. As some people may or may not know I attempted to defend my VCDX design two and a half weeks ago at the Frimley UK defences. Unfortunately I was lacking in certain areas as well as I let stress cloud my mind temporarily in my design scenario but I really enjoyed the experience and blogged about this in my Extra VCDX Experience achievement unlocked posting which received an unexpected amount of attention and even caused current VCDX Michael Webster to put out a blog posting around VCDX Candidate Tips. As a child of the 80’s and 90’s I spent untold amounts of my time playing street fighter two, honing my skills and continually getting killed in the second round by M Bison. Now this posting isn’t about my misspent youth but very much like then, after loads of practice and hours spent in front of a screen I became quite the fighter on SF2 so I see how my VCDX prep has been battle hardening me for my second round against my equal (in this analogy Ken) and all those hours spent practicing will hopefully make me have the knowledge and skills to “defeat” the VCDX this time. So I have started listing all the books,podcasts,videos and labs I feel I need to do to obtain it this time. I received a really good amount of feedback last week from my defence , although the “We urge all reapplying candidates either to submit a new design or to substantially enhance the previously submitted design” portion certainly needs a rewrite or review as it does make you question if you ever had a chance. Anyhow here is my list so far and my plan is to change my VCDX-DCV page to include these and it will allow me to continually update it very much like I did for my VCP and VCAP resources pages. *Warning* I am going all in this time so this is going to be a serious amount of stuff but it will be everything I think is necessary and hence why I’m also going to be doing this over time as I am taking this as a steep but very necessary learning curve and I don’t want to reach near burn out like I did a few times during my last attempt. Mastering VMware vSphere 5 and Mastering VMware vSphere 5.5 . I have read both of these already but i will be doing it again as even though my design is based on 5.0 you have to understand future compatibility and what features in the future may make your design even better or possibly impact it. VMware vSphere Design and VMware vSphere Design 2nd Edition. This is the same as above, I’m going to go through both again to strengthen portions but also understand future impacts and hopefully be able to apply that to my reworked (should I say substantially enhanced rather?) design. Storage Implementation in vSphere 5.0. I bought this book and read certain sections of it before my defence but I knew and it was also pointed out to me that my in depth knowledge of storage needs strengthening as 9/10 times in my work engagements the storage is done by a storage vendor who designs and delivers the physical storage so I don’t get to dive in depth into storage which is something that is required for the VCDX. I will list more physical storage resources in the sections below. Networking for VMware Administrators. I’ve only bought this very recently due to it only being released recently. Very much like storage I felt I knew and understood the impacts of all the networking that was implemented in my VCDX design but when it came to it I felt and it was pointed out that my in depth knowledge of all the switching mechanisms and networking constructs wasn’t strong enough. I’ve never done any networking courses or exams either so I think learning more around this will certainly be beneficial and i will list more physical networking resources in the sections below. vSphere 5 Clustering Tech Deepdive and VMware vSphere 5.1 Clustering Deepdive. I’ve read both of these books quite a few times and read them again before my defence as I needed a refresher on all the mechanisms and timings that you forget after some time. I plan to read these again and try apply more of it to my design as well. VMware vSphere 5.x Datacenter Design Cookbook. I haven’t read this book as yet but I’m hoping it can add additional information into my head and hopefully cement some things that I keep forgetting. Building a Virtual Datacenter. I read this book for my VCAP5-DCD and it was highly beneficial so I am going to read this again and hopefully learn even more from it. Managing and Optimizing VMware vSphere Deployments. Another book I read for my VCAP-DCD prep and one that I will be reading again as it was a really great book and gave a different viewpoint around designing for ease of management and performance. VMware VCloud Architecture Toolkit (vCAT): Technical and Operational Guidance for Cloud Success. I’ve read this before although it was for vCloud work as I’m sure you can imagine but it actually covers a substantial amount of really great tips for vSphere designs and due to it having been created by a team with a large amount of VCDX’s in it there are some really great portions in it. Virtualizing Microsoft Business Critical Applications on VMware vSphere. This will be a first time read for me but is one I have been meaning to read for quite a while as not matter what your VCDX design is for there will always be business critical applications and if there are none in your design then I don’t think it will be accepted for VCDX. VMware vSphere Resource Management Essentials. Another first time read that I have been meaning to read and now have a good reason to It is an essentials book so I’m not expecting massively in depth information all the time but i think it will still provide additional information for me. vSphere High Performance Cookbook. A new book to me that I am hoping will cover off loads of the performance portions required from the VCDX blueprint. Prasenjit was on one of my mocks and asked loads of performance portions I was unsure of so i’m looking forward to learning these even deeper now. 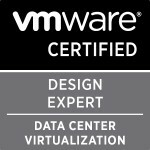 VMware vCenter Operations Manager Essentials. This is also very specific as it depends on if you are using vC Ops or not. It is an essentials book so if you have used Operations manager before then most of this should be known by you already. Software Defined Storage for Dummies. An ebook by Nutanix. Performance Best Practices for VMware vSphere 5.0.
vBrownbag. I’m probably biased but the vBrownbag’s are amazing and we have covered all the VCAP-DCA and DCD objectives which I will be watching again to freshen my mind as well as having covered the VCDX with John Arrasjid. All of these have video so you can watch them on your tablet of choice or just listen to the audio on your way to work and back. VMware Communities Roundtable. The roundtable runs every week and always has amazing information in it. I listened to loads around SIOC,SDRS,HA+DRS, vSphere networking and clustering to name but a few before my VCDX and i’m going to be listening to a lot more of them and also going to try stay up to date with them. Packet Pushers. I have to be honest I have never listened to this podcast before but I recognise I need to strengthen my networking knowledge a fair amount and this podcast was recommended to me for this exact reason. For videos I’m actually astounded how many there are and actually even more so how many have been added since I did my DCA and DCD. It looks like i’m going to get my full value out my vExpert access to the Pluralsight videos! There are so many that I couldn’t possibly list all of the ones. What i’m going to do is for each section i feel weaker in, like i did for my VCDX attempt #1 I’m going to look for older VMworld sessions around the topic. Here’s a list of the 2013 sessions which just shows the amount of content you can use and which I will be using. VMware have their own YouTube channel and they are continually adding more great content. Just like the VMworld sessions I will be watching videos off the channel around content I need more information around. Well that’s my list so far and when i find the time i’ll update my VCDX page to have this listed. If you feel i’m missing things then do let me know please. Categories: Certifications, vBrownbag, VCAP, VCDX, Virtualisation, VMware | Tags: Certifications, podcast, VCAP, VCDX, VCDX5, Virtual, Virtualisation, virtualization, VMware | Permalink. 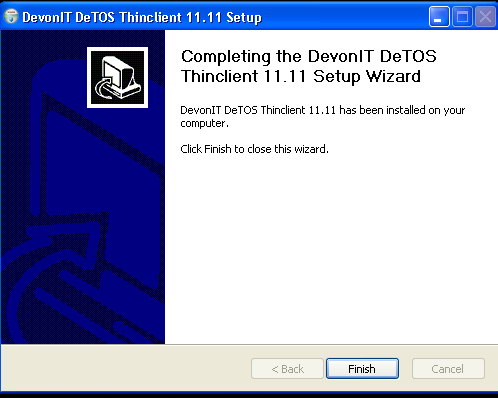 Recently I’ve been introduced to and have been rolling out DevonIT’s VDI Blaster at one of Xtravirt’s customer sites to temporarily enable VDI connectivity whilst still having the ability to boot back into the normal OS should any problems arise. So I thought I would do a blog posting on my experiences with the solution and how I did it. DevonIT marketing state: “VDI Blaster™ can be used without taking the risk to erase your existing Windows installation. To install VDI Blaster™, just execute the installer on the PC you want to repurpose. 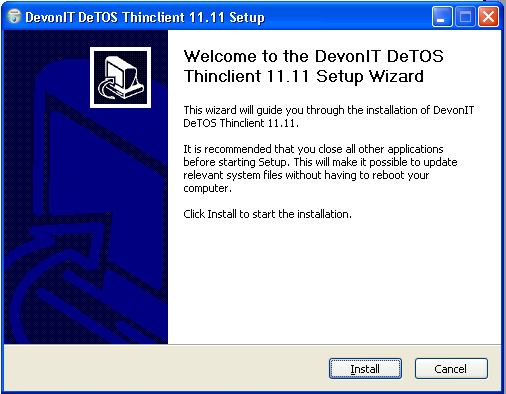 After installation, the PC reboots by default in thin client mode, running Devon IT’s Terminal Operating System (DeTOS™).” When I initially heard what the product did I was a little sceptical, especially seeing as it only costs $29.99 (£22) per licence. But I was keen to give it a try and see if it was as easy as they stated. We also decided to use their Echo Thin Client Management Software to allow us to control what the users saw once they booted into the DeTOS and to make sure all they saw was a kiosk view with the logon page to the VDI environment. Before I did the installation I found a fairly good overview video for the product on YouTube (below) although it’s unfortunate they don’t actually show the screen but rather zoom in partially with the camera so you can’t see it very clearly. For the installation of the Echo Management Server it was quite straight forward as all that needed to be done was to download the Virtual Appliance and import it into my virtual infrastructure. Once imported all that needed to be done was to set an administrator password, give it geographical settings,DNS settings, a static IP address and then set a custom DNS setting to allow machines to obviously resolve the ws-broker name of the Echo server. The installation of the Thinclient software is extremely simple and is essentially a next, next, next finish installation. As mentioned we also purchased the Echo Thin Client Management Software so we could manage the VDI blaster desktops and also push out a customised profile. 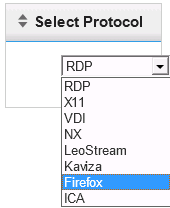 To connect to the administration page you will need to browse to the name or ip you assigned the management server via an internet browser. 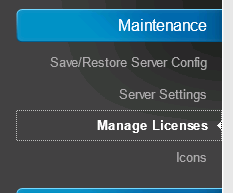 Once in you will need to add your licences to the management server to allow terminals to connect and be managed by the management server by clicking on the Maintenance tab on the left and then clicking on Manage Licences and inserting your licence key/s. 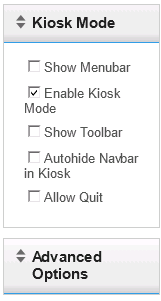 We created our customised profile with the URL to our VDI web interface automatically in the browser so that it opened up in kiosk mode on device bootup. 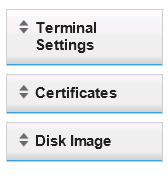 You can add additional settings like terminal settings,assign certificates and apply a specific disk image that you either downloaded or one you created yourself. 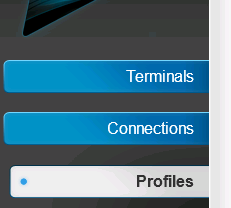 Now that the profile is created, when a terminal boots up it will get the applied settings and the connection from the assigned profile and go straight to the VDI web interface. Categories: Virtualisation | Tags: DeTOS, DevonIT, thinclient, VDI, VDI Blaster, Virtual, Virtualisation, virtualization | Permalink. I planned to get this post out last week but unfortunately time ran out before I had a chance. I thought I would put a quick post up of all the things virtual and linked to virtual that i have been doing/working with/learning/reading up on in the past week and a bit. If you’ve been reading any of my previous postings you would know I have been fiddling fairly extensively and trying to grow my knowledge of powershell,powercli and all the things that can be done with these tools. A professional i follow on twitter who is a guru at all things powershell is Luc Dekens(@lucd22). He has many great scripts and tools for anyone interested and put up a very helpful script of how to search for all VMX files in all datastores and register them into VC. Scott Lowe(@scott_lowe) did a great write up of the book vSphere 4.0 Quick Start Guide.The book was written by many people Duncan Epping(@duncanyb) and Alan Renouf being two of them. It’s a book I’m planning to get myself in the new year and a great book for someone wanting to increase their knowledge in a short space of time as well as a brilliant reference book for people who have been in the industry for ages. The book has just been made available for those of us in Europe wishing to buy it. For all my powershell and PowerCLI scripting and learning I have been using a brilliant tool called PowerGUI. Dmitry Sotnikov posted last week the new addition of the software and detailed all the new features. This tool is awesome and I would recommend it to anyone planning to use and currently using powershell scripting. Simon Seagrave(@kiwi_si) wrote a very useful posting all about some great virtualization fundamentals videos from VMware. These are brilliant if you’re trying to learn about virtualisation and are even better for those of you who need to show the benefits of virtualisation to management to maybe get them to agree to converting to VMware. Alan Renouf (@alanrenouf) has created an absolute life saver reference guide for all things PowerCLI. I printed this off straight away and will be using it extensively in my daily job and my continued learning of PowerCLI. Alan has been a MASSIVE help in my learning of PowerCLI. If you want to learn PowerCLI, his blog posting on PowerCLI where do i start is a great place to start and is the place I’ve recently started at. Also I would recommend keeping an eye on the PowerCLI page of the VMware communities as there are some very informative and interesting discussions on the topic. Scott Lowe has put up two great posts explaining the differences and similarities of npiv and npv as well as what sr iov is in another posting. I love these kinds of posts as for someone like me who needs things explained in laymen terms to understand it fully it really helps and Scott does this in a great way in these two posts. For those out there who somehow don’t know Scott has a brilliant book called Mastering VMware VSphere 4. If you haven’t got this book already I would highly recommend it for the studying for your vcp4 exam and even more so as a brilliant reference book. Duncan Epping of Yellow-Bricks.com fame has recently put up two great posts announcing ESX 3.5’s update 5 release and detailing what’s contained in it. As well as a posting of how to do the infamous kill –9 command of ESX in ESXi. If you haven’t had to restart your mgmt-VMware service before due to it hanging or had to use the kill –9 command as the service won’t stop/restart then either you have an environment all VMware admins dream of or you’ve been very very lucky so far. 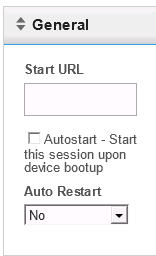 Simon Long (@simonlong_) has posted a great blog posting recently with videos from VMware showing how to do these service restarts if you’ve never done them before. Lastly is my blog roll on the right hand side of the page. All of these blogs are my favourites and are blogs I highly recommend to anyone wishing to learn and stay informed of everything happening in the virtual world. These are some of the best and the best in the industry so try take some time to get through them all and add rss feeds for the ones you find the most interesting. Feel free to follow or even message me on twitter on @greggrobertson5 and I would recommend following the people I have detailed above and in my previous blog postings. Categories: Virtualisation | Tags: kill -9, Mastering VMWare vSphere 4, npiv npv, PowerCLI, PowerGUI, sr iov, VCP4, Virtual, VMware, vSphere 4.0 Quick Start Guide | Permalink.